Podcast is a digital audio file which available in the form of episodic series. 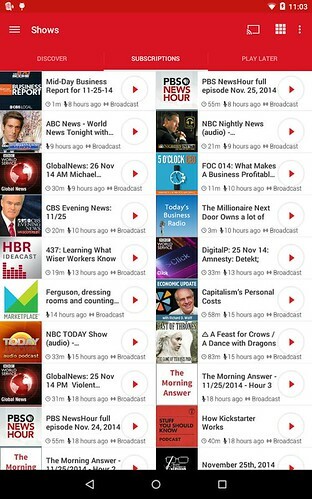 You can use Podcast app to keep in touch with news and topics of your interest. Lot of Podcast apps are available in the play store but only few of them are perfect. Today we are listing the best free Podcast apps available for your Android device. Podcast Republic is the best Podcatcher app available on the play store for free. 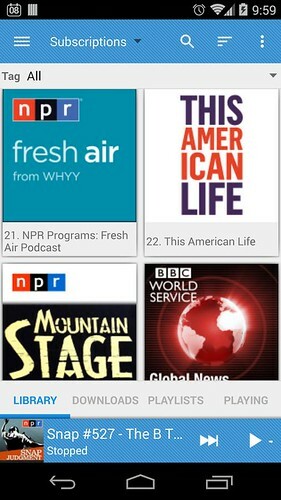 This app lets you search podcast in iTunes’ collection directly on your Android device. Podcast republic is listed by heavy.com in Top 10 Best Podcast Apps for Android. Some of its notable features are Offline playback of audio and video, save your data consumption, Synchronize between devices, Offline playback of audio and video etc. Another popular Podcast app available on the Play Store. 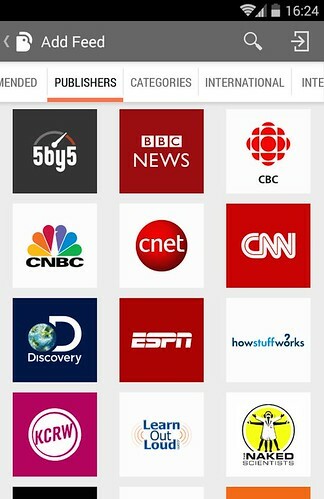 BeyondPod’s streamlined interface and powerful controls give you easy access to millions of audio and video episodes. You can access hundreds of thousands of free audio and video podcasts from all over the world. You can save your feeds and check them out when you’re offline. Player FM is a good podcast app that companion with Tablet, Chromecast and watch support; variable-speed playback, intuitive interface. You can search over 3 million titles and full show notes. You can search full show notes for over 2 million playable episodes. Player FM proactively downloads latest episodes for offline playback. Podkicker is one of the most popular podcast managers for android. 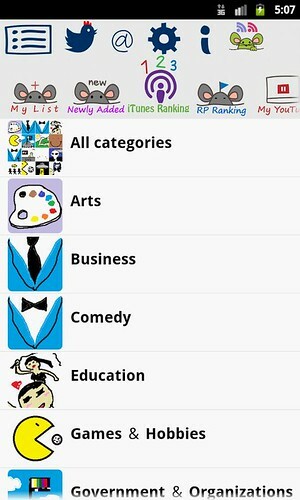 Its clean design and performance makes the app a favorite for the users. Podkicker lets users stream and download podcasts and has support for both audio and video files. 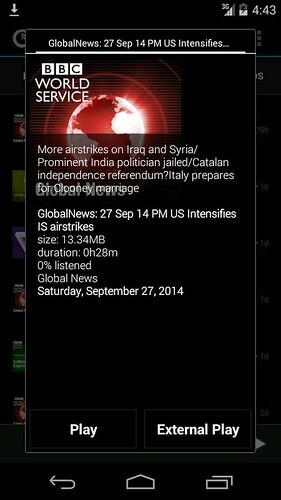 Ratpoison pod cast app comes with simple interface. More than 30,000 podcast are registered. You can see newly published podcasts list. If we missed your favorite pod cast app in the list? Let us know through comments.